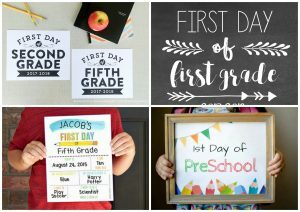 We all want to get those adorable First Day of School Photos of our children. But the first day of school can often be a big rush. 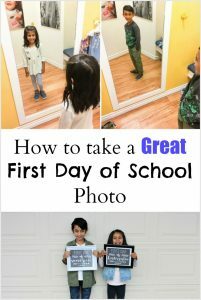 To make sure you are ready to capture that important memory, here are 5 Tips for Taking Great First Day of School Photos. This is a key ingredient for your photo since it’s a marker as to the year and what grade your child is in. Don’t scramble on the night before to find the perfect printable. 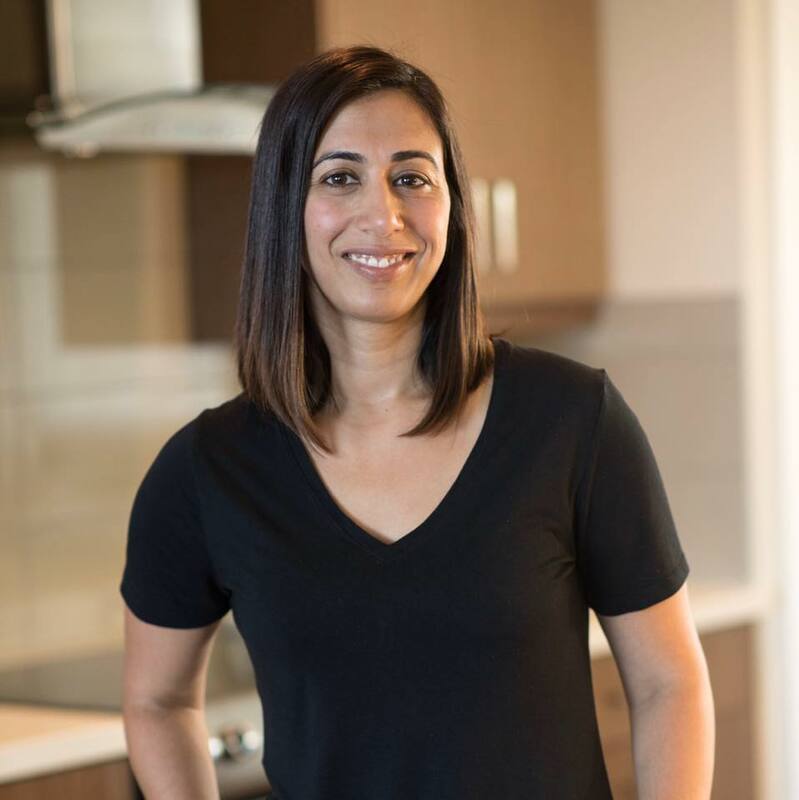 Here are five options that I really like. Another tip is, to put the printable in a frame and then take the glass out as to not have a reflection in the photo. 2. 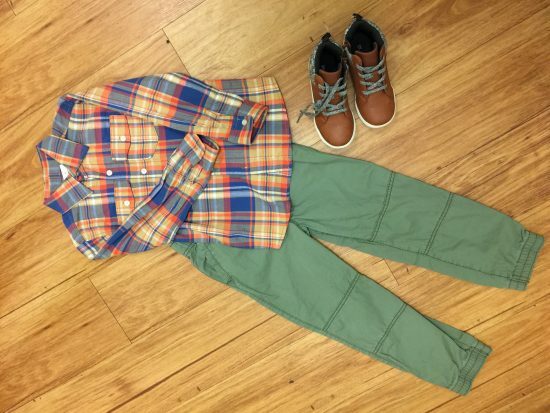 Find the perfect outfit. It’s nice to have a comfy and cute first day of school outfit ready for the big day. Something colourful, fun and of course comfortable. 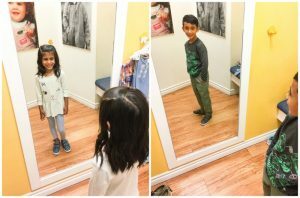 Each year, we head to Carter’s | OshKosh for back-to-school shopping and find lots of good school outfits that work great for first day photos too. Two Carter’s outfits the kid’s liked for the first day of school. 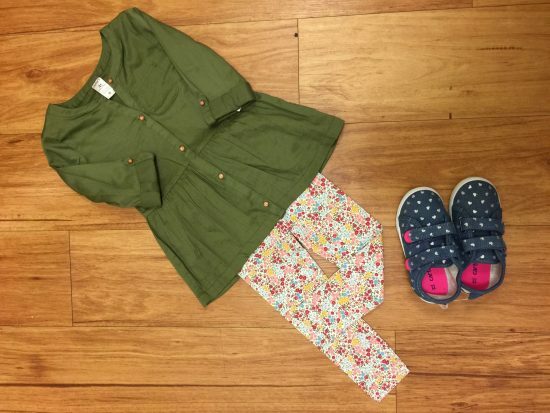 Carter’s | OshKosh clothing is reasonably priced and they have lots of mix and match options that also work for the entire school year. We found quite a few outfits that we liked and will possibly use for this year’s first day of school photos. 4. Give yourself some extra time. The first day is always a bit rushed so make sure you reserve 15 minutes to be able to take the photos. 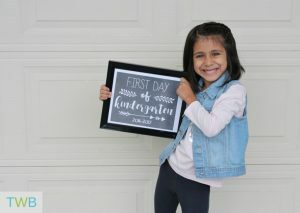 If there just isn’t enough time, then do the photos when the kids come back from school. It’s usually a short day and it’s still technically the first day of school. That way you’re not rushed in the morning! 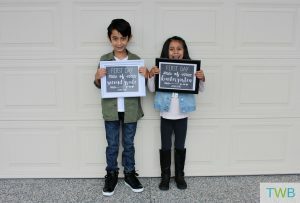 When you’re taking the first day of school photo, have the kids do a few different poses. Maybe snap a vertical, horizontal and one photo together. It’s a nice memory and it’s good to have extras in case they blink.